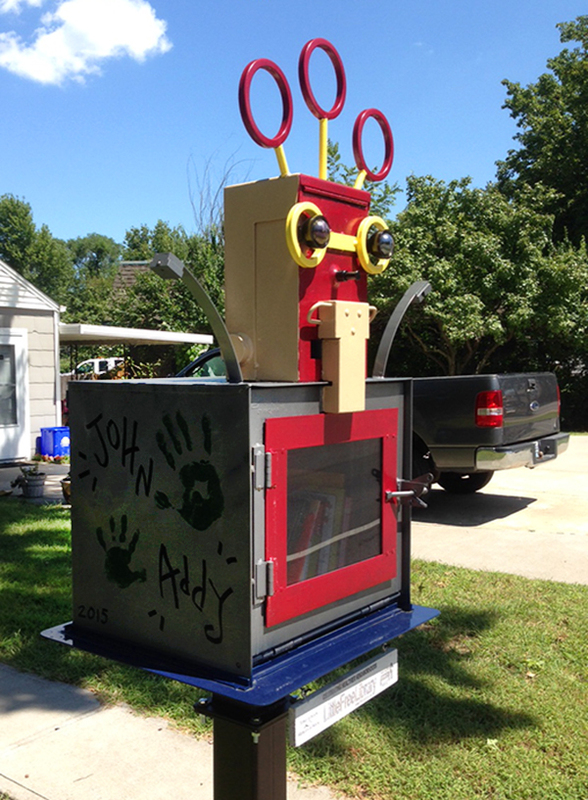 Unveiled another Little Free Library to come out of Fossil Forge. 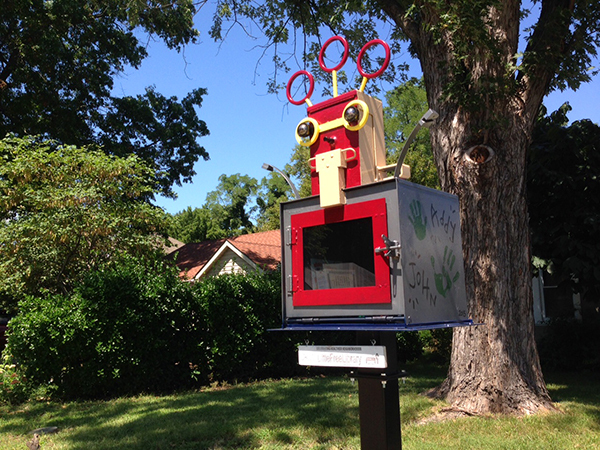 This one was created from an old newspaper box. I turned it into a cheery little bookbot. Glass eyes and bright colors help to attract attention. Handprints from the owners are displayed on each side of the box. Open the door and share books! This one is along a busier street, so I anticipate it will see lots of use.